Literally at the heart of the Philippine archipelago, Romblon island offers more than the high-quality marble that it is known for. Although more remote than your average destination, this charming and friendly island reflects what Philippines is about. Romblon, an island of roughly 9,000 hectares peaking at 444 meters, is lined with beautiful beaches and surrounded by deep and clear waters ideal for diving, snorkeling, boating and fishing. The beaches are perfect for basking under the sun with or without a San Miguel beer in hand, picnics, and relaxation, minus the chaos and development in heavily touristed parts of the country. While it’s easy to spend days and weeks on end absorbing the island’s slow and laid-back attitude, taking up a new challenge like freediving will surely be memorable and make for an adventure-packed holiday. Freediving is holding your breath as you swim underwater. Fast becoming one of the most popular watersports/activities in the Philippines, freediving is yet another reason why you should visit Romblon. Imagine playing and observing the colorful life underwater without struggling – body and mind in a completely relaxed state. It is said that if a newborn is submersed in water, it will swim in breaststroke and will be able to hold its breath for 40 seconds. We are physiologically adapted to being in the water. Discover this hidden instinct and experience the fascinating world underwater through freediving. It can be learned by anyone. We all have this natural ability to hold our breath underwater. Come and see for yourself how amazing the underwater world is when you freedive. It’s a lot easier than you might think! Dumagat Freedive, a locally run accredited freediving school, offers introductory to master level courses in freediving. 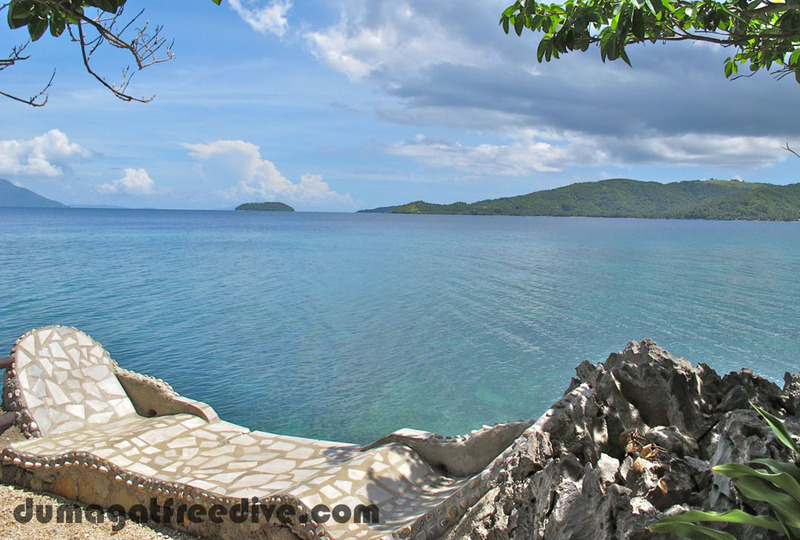 Located in idyllic Marble Beach in the quiet barangay of Ginablan, 10 kilometers south of Romblon town, is perfect not only for freediving, but for snorkeling, swimming and scuba diving. The school offers AIDA and SSI freediver certification programs, both internationally recognized. In just 2-3 days, you will learn the skills to safely and confidently dive deep on a single breath! The course begins with theory lecture to reinforce and clarify the concepts learned from the course manual. Equipment, breathing techniques, equalization, physiology, safety, and technique are among the topics covered in the lecture. Basic skills such as finning, posture, and duck-diving are practiced in confined water before depth training. All the concepts and skills learned come together during the most exciting part of the course, depth training. It truly is amazing that the program makes it easy enough to dive down to a maximum of 20 meters (66 feet) in just a couple of days! Being certified is without question, the best and safest way to get started freediving. Whether you’re an avid snorkeler hoping to stay longer underwater, a scuba diver looking for another excuse to get in the water, someone who enjoys taking underwater photos, someone who prefers to spear your fish instead of buying it from the market, or someone very much intrigued by the sport, a freediving course just might be what you’re really looking for. Freediving truly is a lot easier than you might think. Make your next holiday an adventure! What are you waiting for? And if freediving isn’t convincing enough for you to come visit, perhaps try the island’s best veggie spring rolls at Totoy’s local bar. Made fresh to order every time, we doubt you’ve had better-tasting spring rolls in your life. 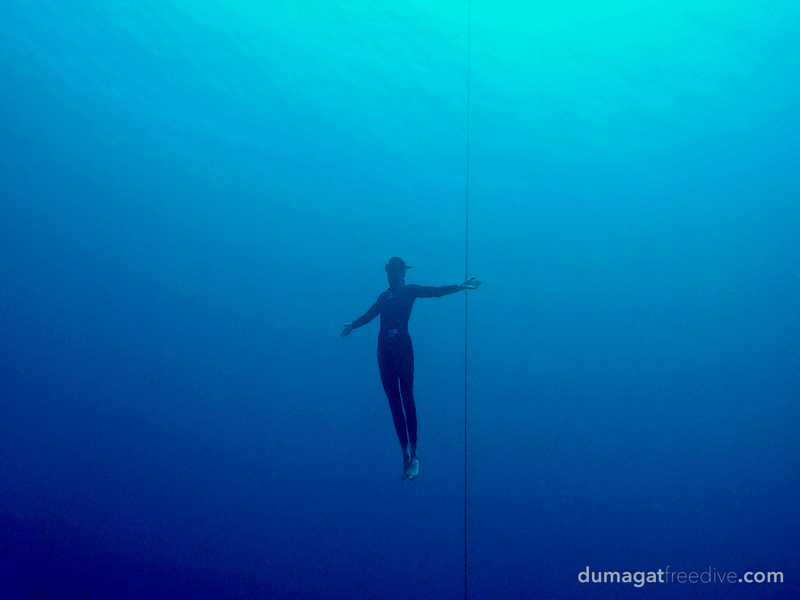 To learn more, please visit dumagatfreedive.com or find us on Facebook. Categories: Article | Tags: Adventure, Backpacking, Destination, Dumagat Freedive, Free Dive, Freedive, Freedive Philippines, Freediving, Freediving course, Freediving Education, Freediving Philippines, Freediving School, It's more fun in the Philippines, Learn to freedive, Philippine, scuba, Southeast Asia, Things to do in the Philippines, Travel, Tropical, water sports | Permalink.